We’ll keep an eye on your house for you while you’re gone. 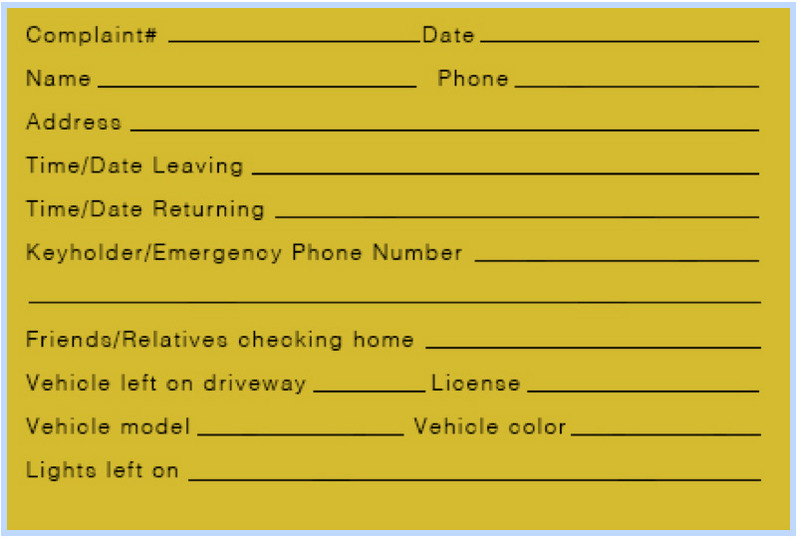 Just stop by the station and fill out a Vacation Check Card. Officers will walk the perimeter of your home weekly (or daily if you’re only gone for a few days) to make sure everything is secure. Of course, we’ll notify you if anything looks out of place. Also, remember to have your mail and newspaper delivery halted while you’re away.